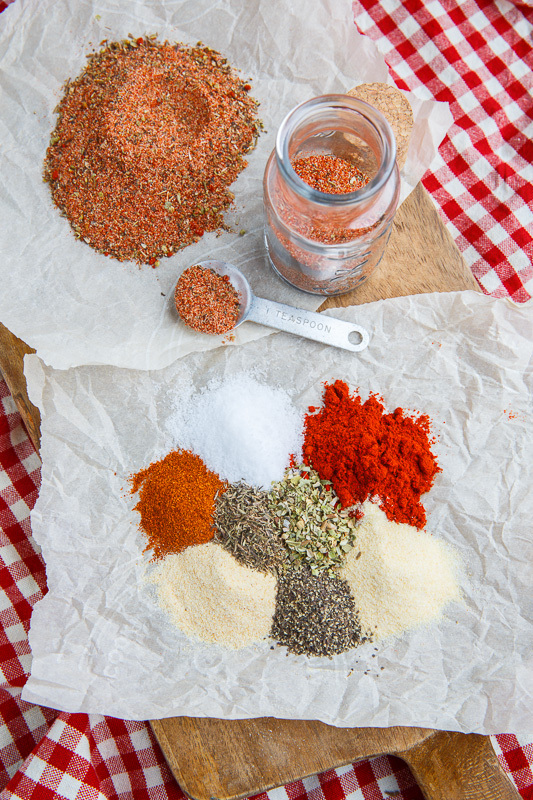 A quick and easy homemade Cajun or Creole style seasoning or spice blend! 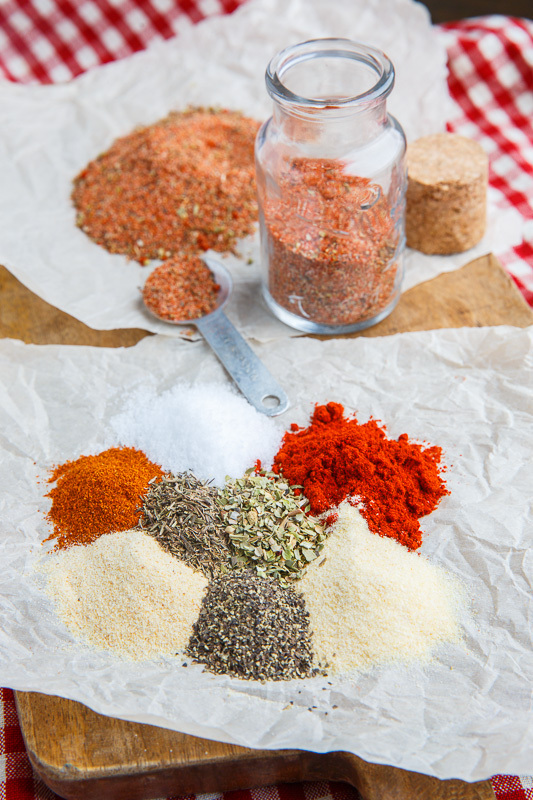 Homemade seasonings or spice blends are super easy to make and if you use them frequently, they are cheaper and you know exactly what goes into them. A seasoning that I use a lot is a Cajun or Creole seasoning and when I make my own I get to control the amount of salt in it which is important since a lot of store bought blends have a TON of salt. Canjun or Creole style seasonings typically consist of the following spices: paprika, thyme, oregano, onion powder, garlic powder, salt, pepper and cayenne. With the spicy heat provided by the cayenne in this mix it’s also nice to be able to control that to make it as hot or mild as you desire! Another nice thing about homemade spice blends are that they make for great gifts for the holidays so that you can give the gift of flavour! Check out all of the tasty recipe that I like to use this cajun seasoning in below the recipe! Have to have thyme for Cajun. What kind of paprika? Smoked spanish? Wildcat: I prefer smoked hot paprika but your favourite will work! Do you have a particular brand of smoked hot paprika that you prefer? Village Bakery: I get my paprika at a local spice shop that sells spices in no-brand packages. Apparently it's called Pride of Szeged, and I buy it at a european grocer. It's in a red tin. They also have a sweet paprika. I never thought about making my own cajun seasoning. I will have to give this a go! that way I can control the amount of spice. Since I like it spicy.